Therapeutic Artistry: Between Client and Therapist. The workshop will focus on the “relational dance” between therapist and client. This includes the “artistic” instantaneous clinical decisions that the therapist must make, in the here-and-now, of the therapeutic moment. The emphasis is on how client and therapist form an interactive and constantly evolving relational field, in which both of their relational developmental strengths and weaknesses get highlighted and played out in the hope of creating a healing connection. The focus is on the client’s experience of this relationship and the therapist’s attunement to that experience. A deepened sense of “presence” is essential and explored. The therapist must be self-attuned, and incessantly examine her/his reactions, while simultaneously being attuned to the client and the ongoing quality of the relationship. A central “artistic” issue is how much does the therapist bring her/his own experience and personhood into the foreground, in the service of highlighting and expanding the client’s experiential possibilities, and facilitating the development of the relationship. The workshop will include theory, demonstrations, and discussion. Participants will be encouraged to explore their own clinical “artistic” interventions, and be sensitized to exploring previously unexplored dimensions of their relational impact on clients. They will be encouraged to expand their “use of self” within the therapeutic relationship. Rich Hycner finds the therapeutic relationship to be an endless source of creative inspiration, and the nexus for healing. He views the therapist’s presence as an essential medium for exploring the relational and experiential dimensions of therapy. He is fascinated by how the therapeutic relationship can be a source for healing relational wounds. He has been profoundly influenced by Martin Buber’s philosophy of dialogue and Erving Polster’s and Miriam Polster’s creative clinical work as well as current relational theorists and practitioners. He is author of Between Person and Person: Toward a Dialogical Psychotherapy and co-author with Lynne Jacobs of The Healing Relationship: A Dialogic/Self Psychology Approach. He and Lynne have also co-edited, Relational Approaches in Gestalt Therapy. 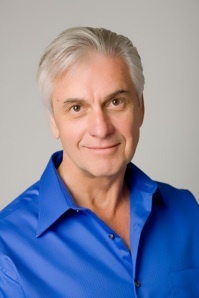 He has been Co-Director of the Gestalt Training Institute–San Diego, and Training Faculty for Erving and Miriam Polster’s Gestalt Training Center— San Diego. He has been a Dean for Academic Affairs, as well as a faculty member at 12 graduate schools. He is in independent practice in Solana Beach, CA, intrigued by applying relational theory to couples and individual therapy. He has conducted relational psychotherapy training workshops in Brazil, Canada, England, Mexico, Norway, Scotland, and the U.S.
On a personal note, he is married, and his wife and he have an adult son and a teenage daughter. He finds trying to apply the relational approach in his personal life to be the most humbling, and far more challenging than applying it professionally. A Workshop with Rich Hycner Ph.D. The Workshop will include theory, demonstrations and discussion. Venue: Avila, Bloomfield Avenue, Donnybrook, Dublin. D04 YF66. Cost: €395. Includes Light Refreshments. Full Payment by 1st August. 66 Lower Leeson Street, Dublin 2.